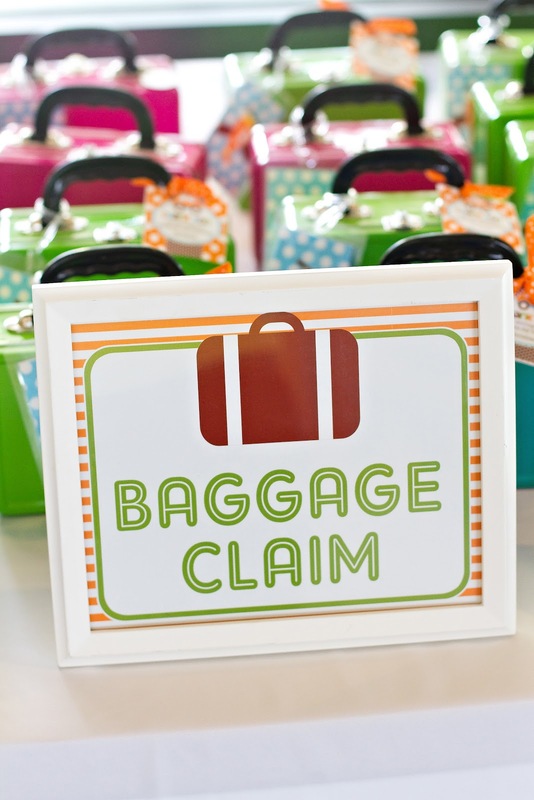 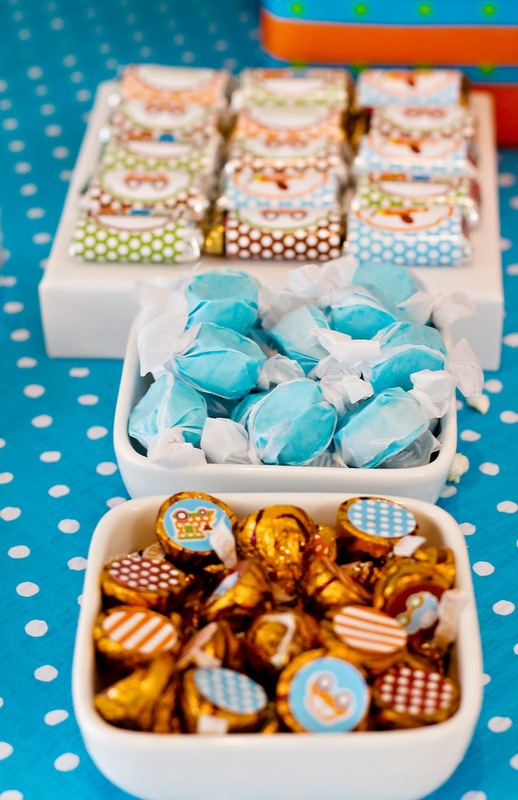 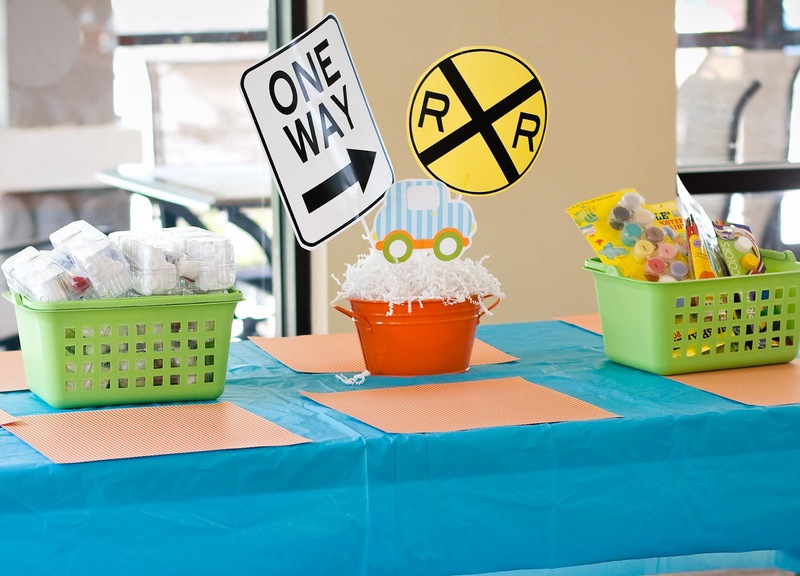 Amanda's Parties To Go: Transportation Party Feature! If you've hung out in the "party world" for very long, you have surely come across a few of Ellen Bessette's fabulous parties. 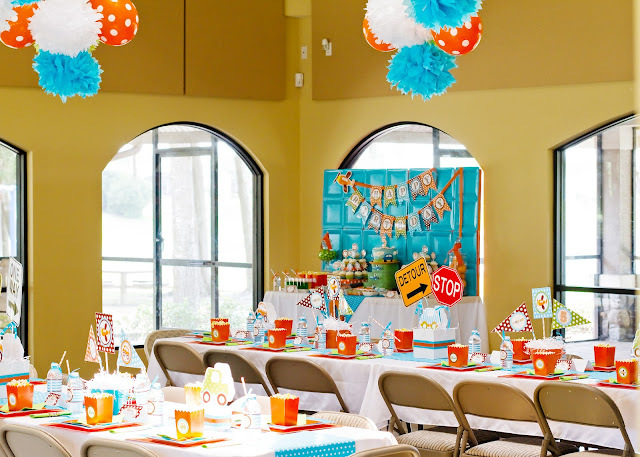 Ellen creates beautiful parties for local clients and then shares her gorgeous photos and inspiring party ideas with rest of us to use at our own parties. 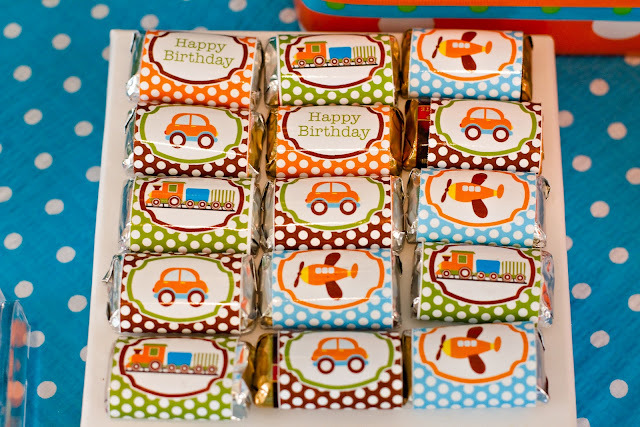 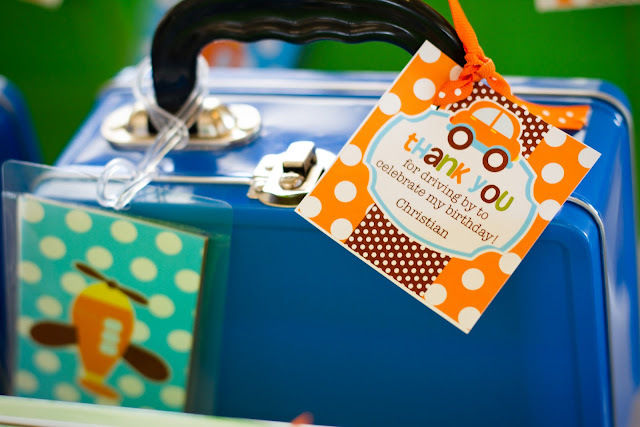 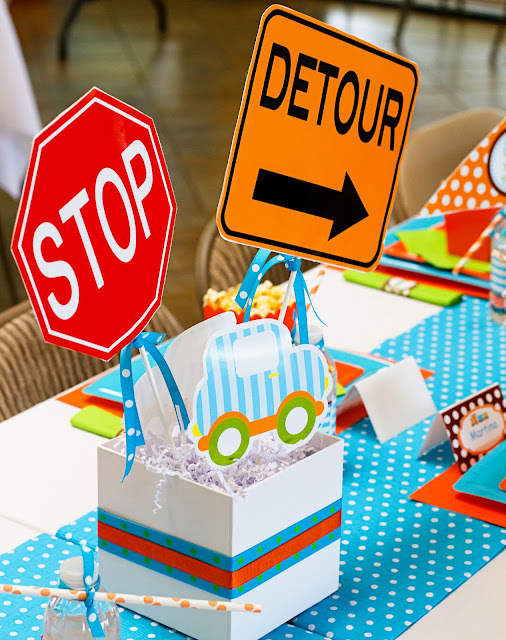 You will love this latest TRANSPORTATION PARTY Ellen styled using the Amanda's Parties To Go Transportation party printable set. 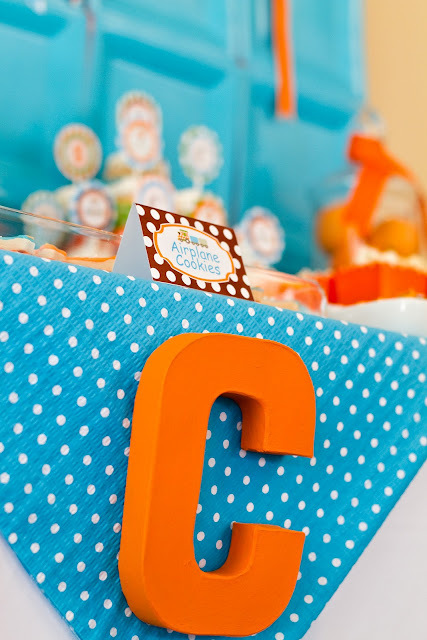 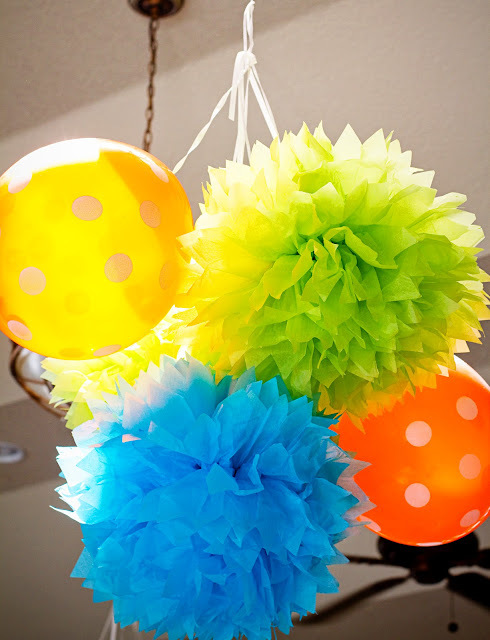 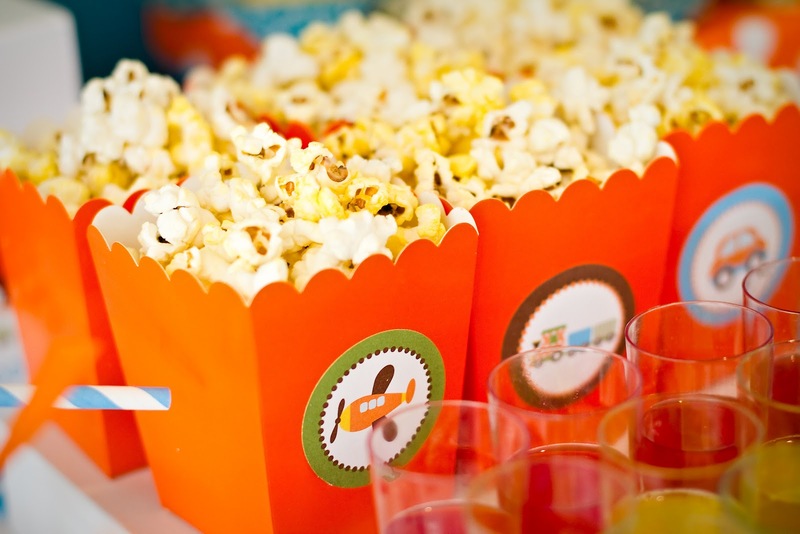 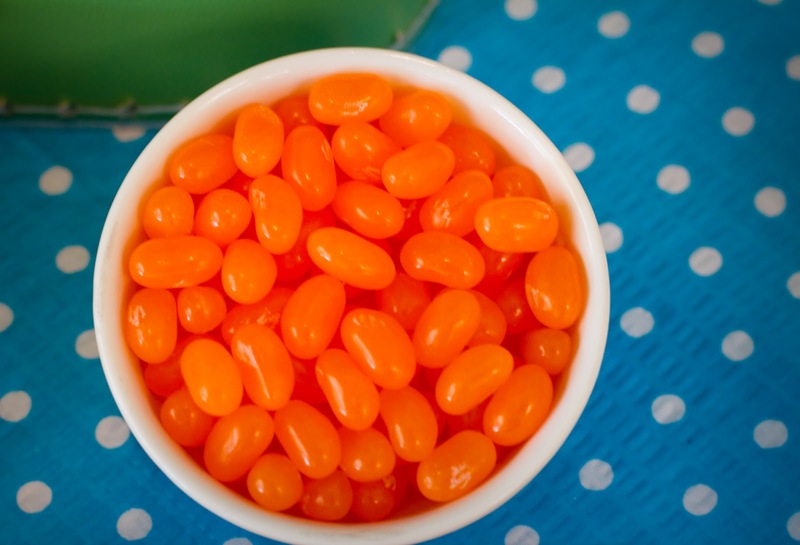 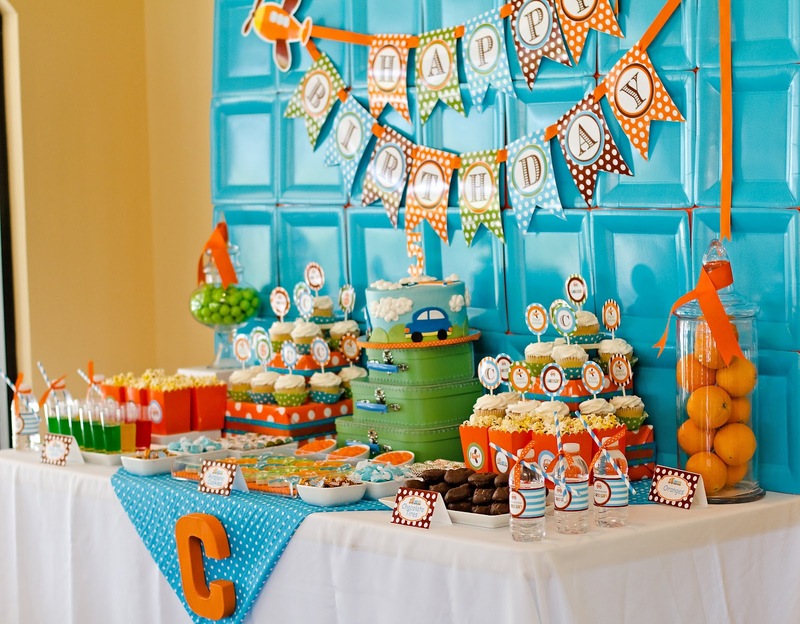 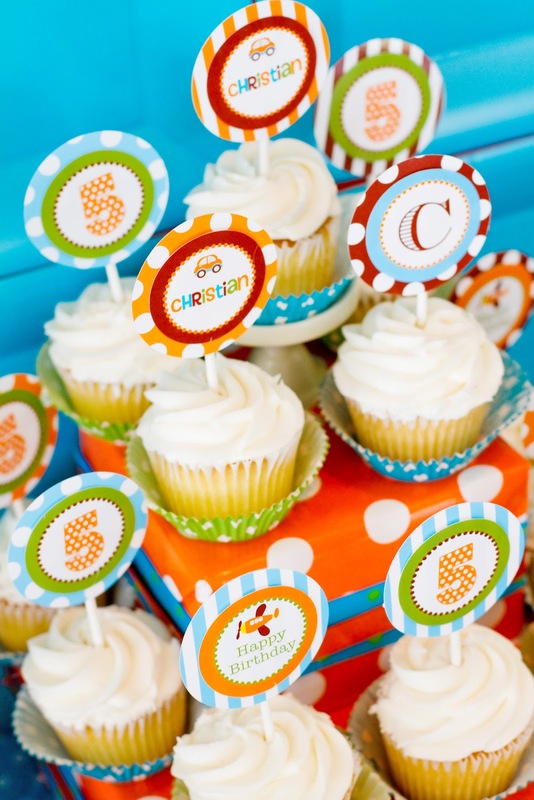 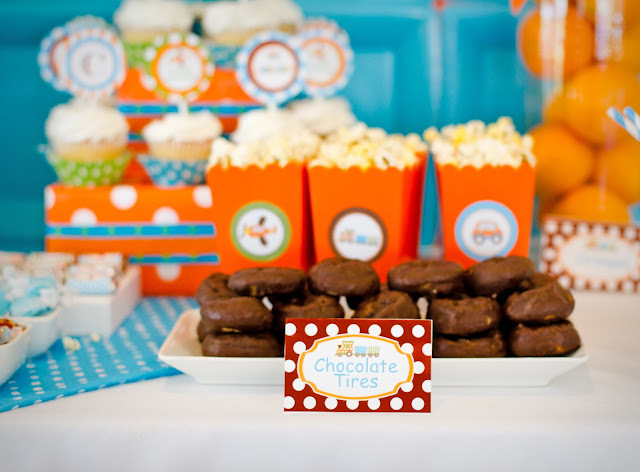 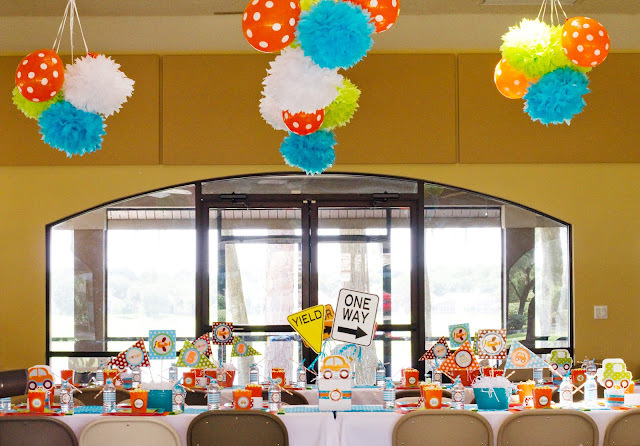 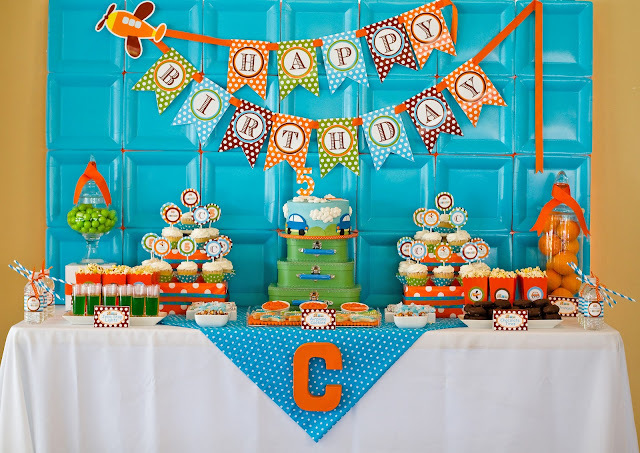 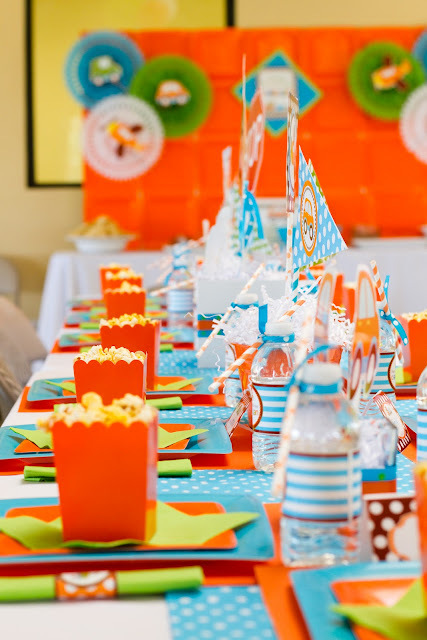 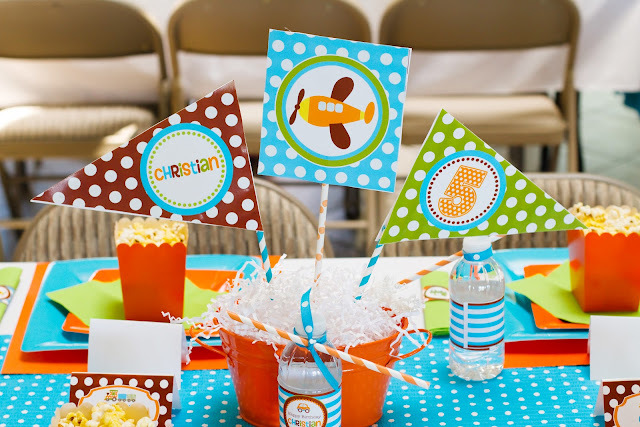 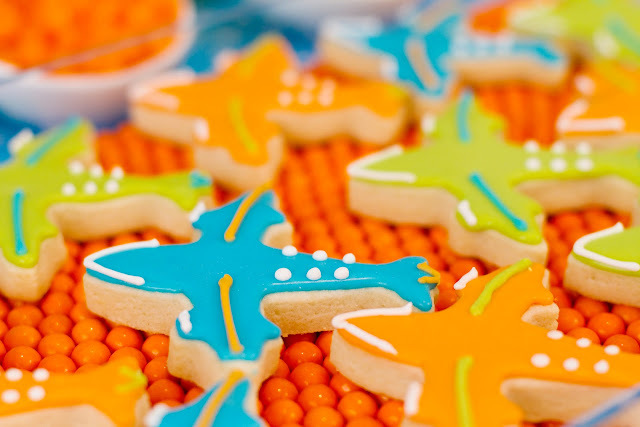 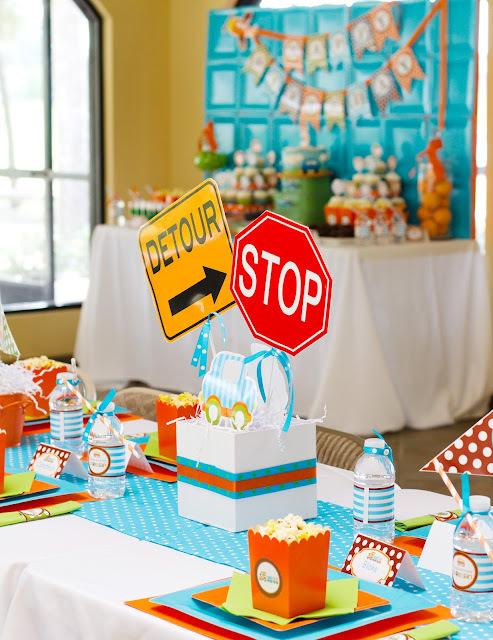 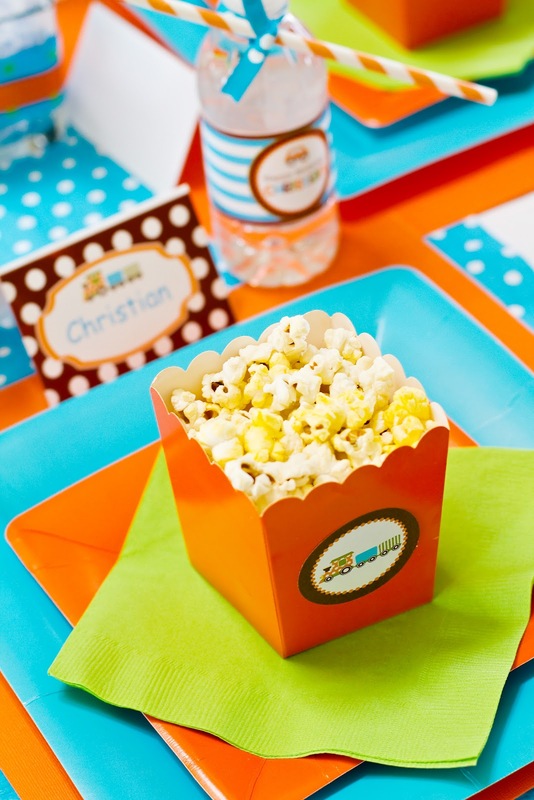 Ellen tells us a little about the party.... "I love the color scheme of orange and turquoise and the transportation theme is so versatile for a boy’s party. 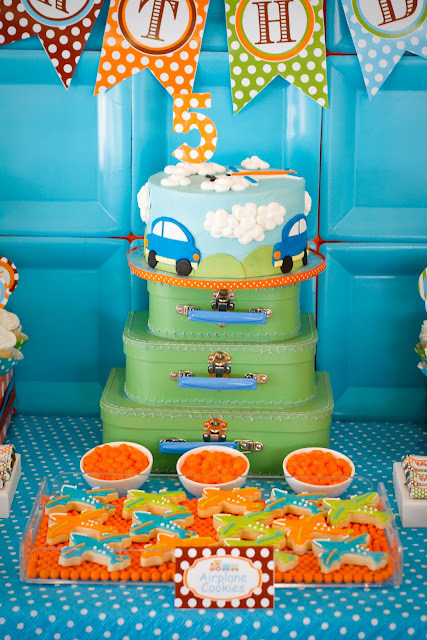 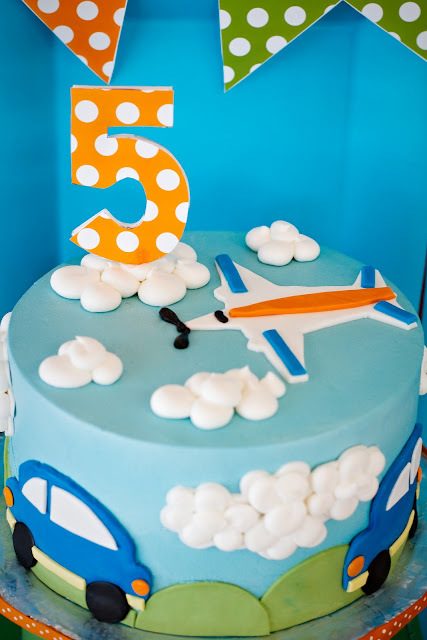 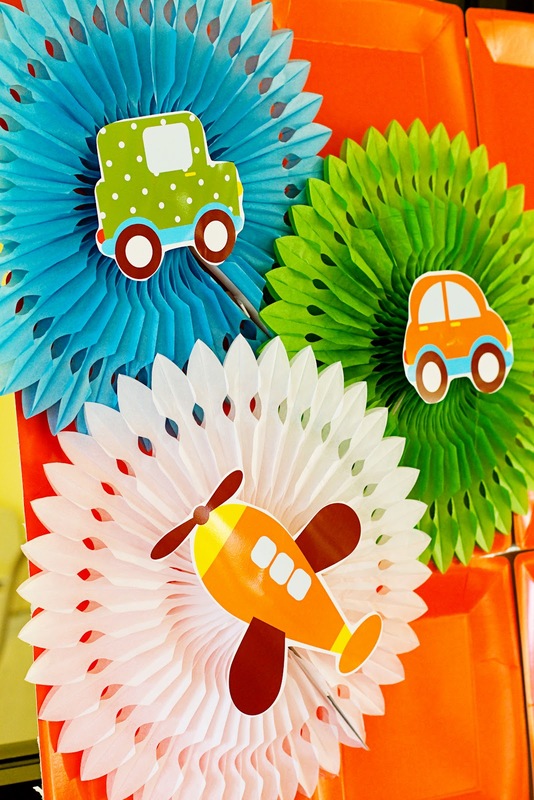 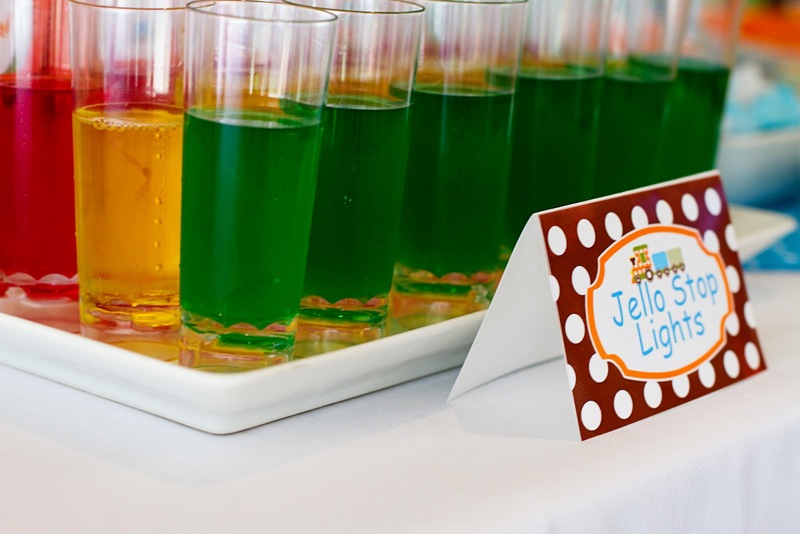 Lots of cool cuteness with this party.... chocolate donuts for tires, red, yellow and green jello for stoplights, airplane cookies, the outstanding cake, the luggage party favors and much more. Best of all, the birthday boy was the sweetest boy ever along with his Mom. " 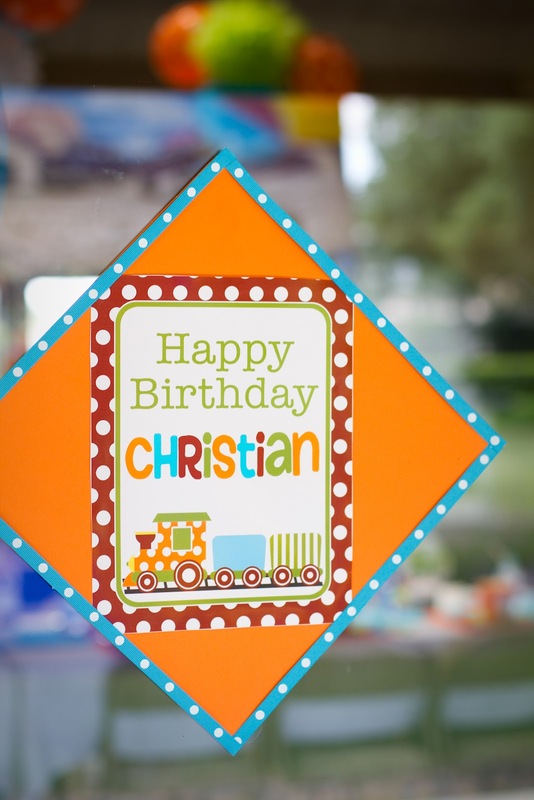 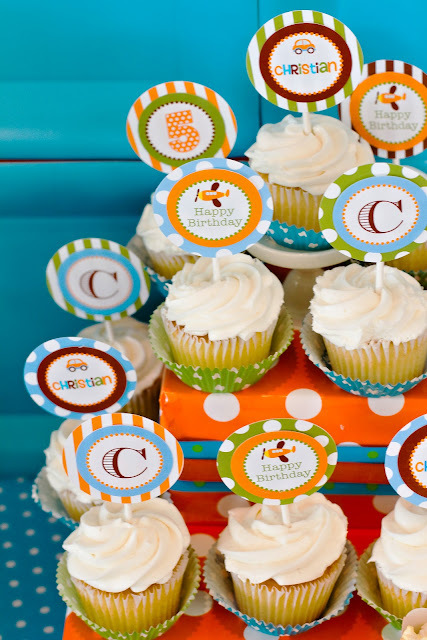 Thank you, Ellen, for sharing Christian's adorable party! Where did you find the lunchboxes? 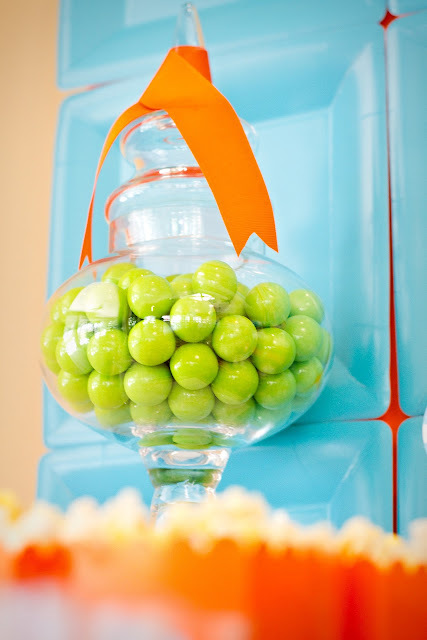 bridal jewelry set are certainly the best way to express a commitment with your bride. pearl strand necklace are increasingly popular and so too are antique engagement rings. Matching pearl ring are important to factor as many metals are available with platinum being the most popular.